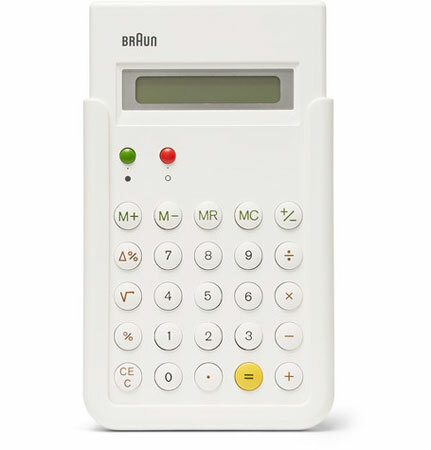 We heard it was being reissued, but now it looks like Dieter Rams-designed Braun BNE001 ET66 calculator is back on the shelves. I guess you might want to ask yourself why you would want a standalone calculator in 2013. But when it looks as good as the Braun BNE001 ET66 calculator, it's hard to argue against. Not sure how new this is, because the Brix calculator is currently in the sale. Not that we're complaining, it's a cracking accessory for any desk.